A playful exploration of Cervantes’ novel, combining incredible visual imagery, live music and dance. Featured as part of the 2013 British Council Showcase, this is a performance that takes the same brazen attitude as Cervantes, with equal irreverence, presenting its own radical and absurd worldview. It is about how we don’t know what to do with individuals who want to affect change in unconventional ways, about how radicals are either seen as clowns or oracles and about our role as individuals within society – not necessarily to behave like Don Quijote, but to consider our response to those who do. Staged amongst the audience, the title role will be played by a secret guest performer unique to each date. Tom Frankland is an award winning performer and theatre maker whose theatrical language focuses on honesty, action and a playful DIY aesthetic. Keir Cooper works in music, design and theatre. He writes and performs with punk trio a Sweet niche and his work looks at ideas that require simultaneous discipline and irreverence. 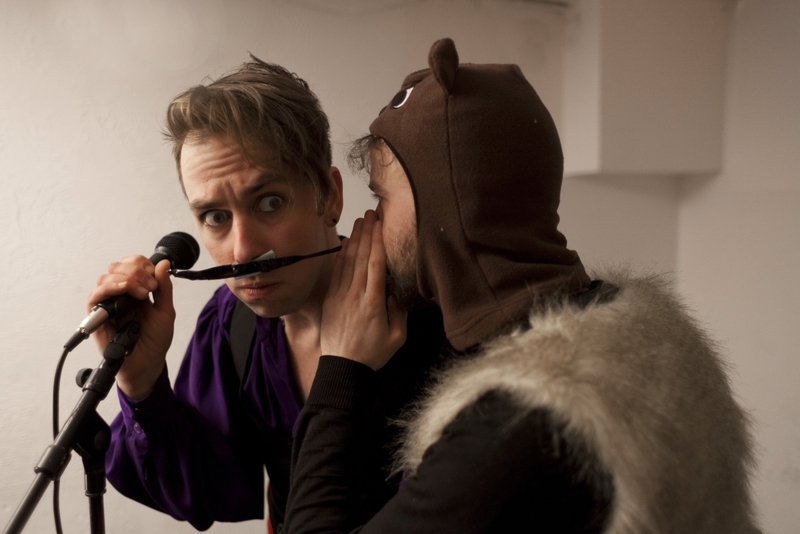 Don Quijote was developed as part of Camden People’s theatre’s Starting Block scheme, with support from the Albany Theatre, Little Angel Theatre and Shoreditch Town Hall. It has been supported using public funding by the national Lottery through Arts Council England. Please be aware that there are no great parking facilities near Playworks- it will make sense to take one of the buses going up Mansfield road- or just to walk over! Playworks is a charity working with children young people and their families – they run a scrapstore, art shop, training programme and Street Play session, please visit www.playworks.org.uk for more info, or like them on facebook!